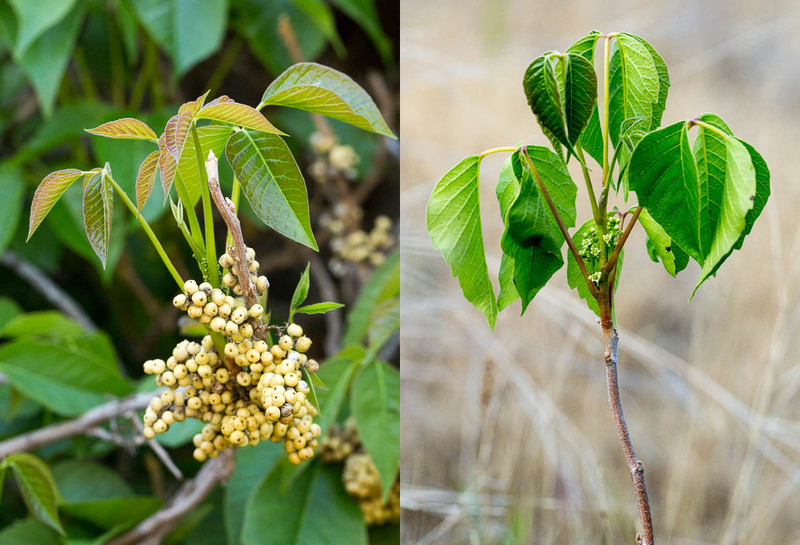 Yes, it does grow in the east, but this plant, Toxicodendron rydbergii, is the only form that grows in much of the West. In the East, it interbreeds with eastern poison ivy, so they pretty much become one plant. 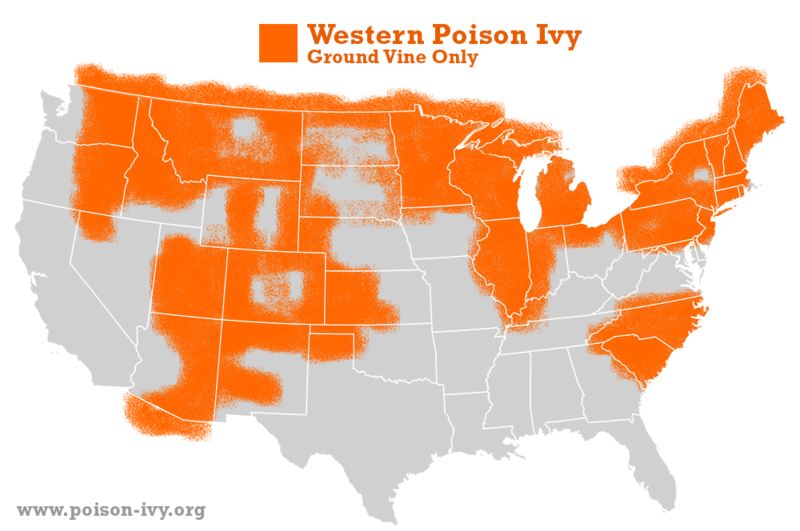 This page is for use when you are in areas where ONLY western poison ivy grows! 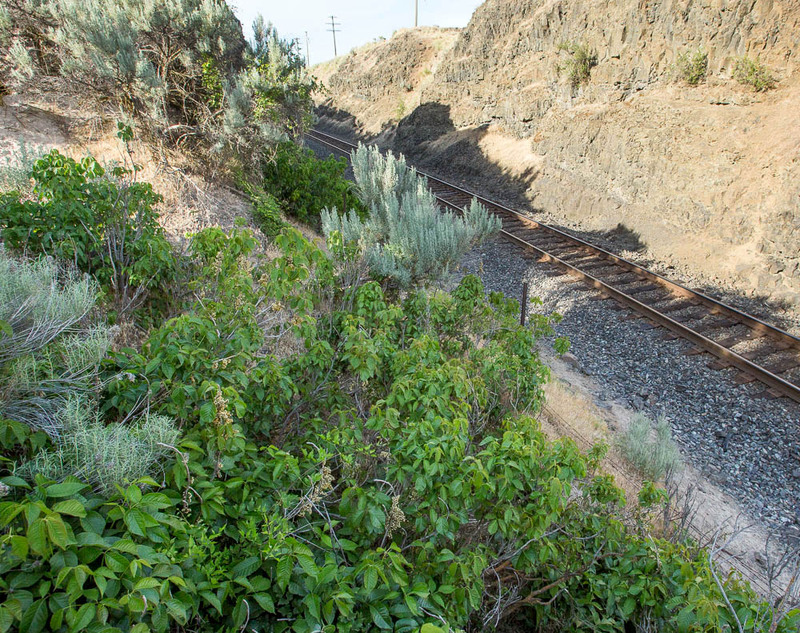 Here are two places where I found western poison ivy: left is the shady side of a railroad track in central Washington State (at Palouse Falls) where there was no water nearby at all. 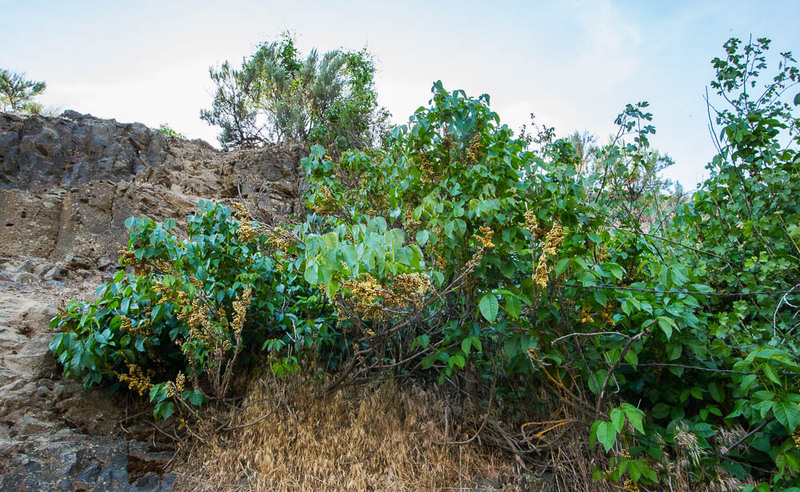 The right image shows a growth near a stream in an otherwise very dry valley. This is a closeup of the plant in the photo above. Notice the very tight clump of berries. This was early June. Here is your basic chart of things you CAN count on with western poison ivy (same as eastern). If you know that nothing with thorns or 5 leaves in a group can be poison ivy, you are getting there. 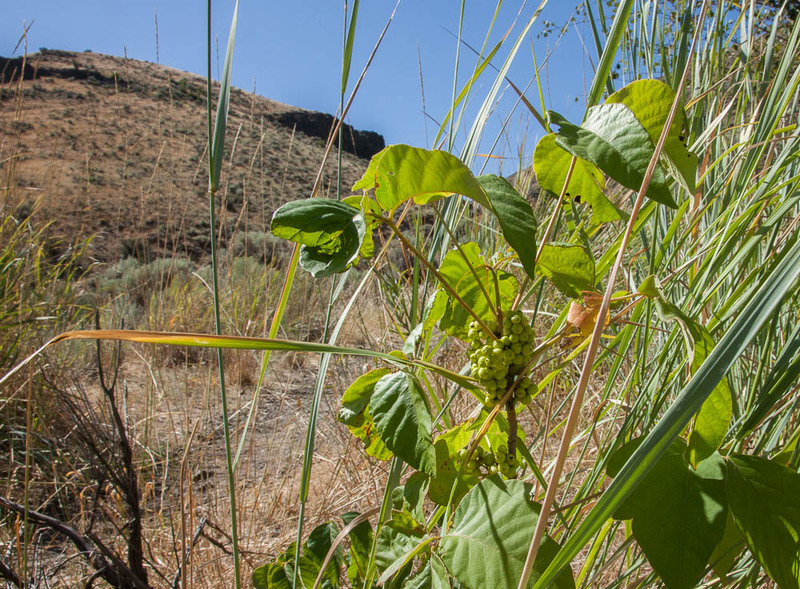 A large bunch of poison ivy berries near Palouse Falls in Washington State. Also shot in June: berries are already drying out. On the left are the berries, which are easy to spot. On the right are the tiny flowers, which are much harder to find. 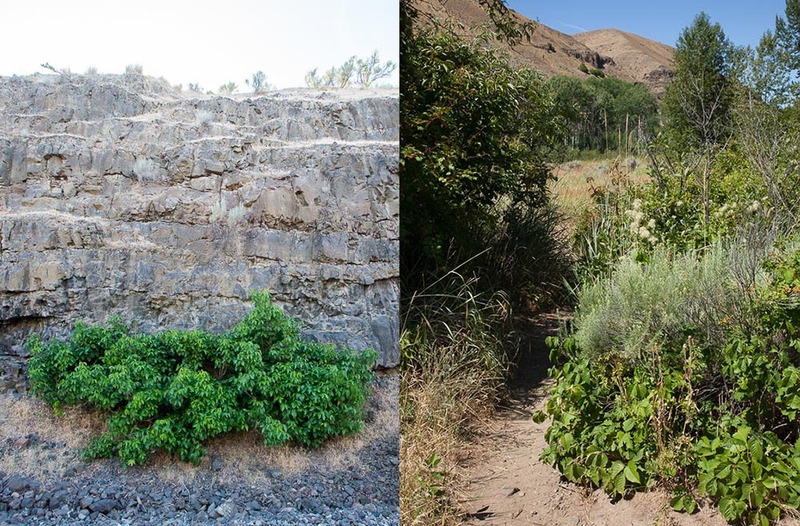 A shrub-like growth of western poison ivy near Palouse Falls. Notice the huge growths of berries. The moisture from the river probably helps to keep this plant so healthy. 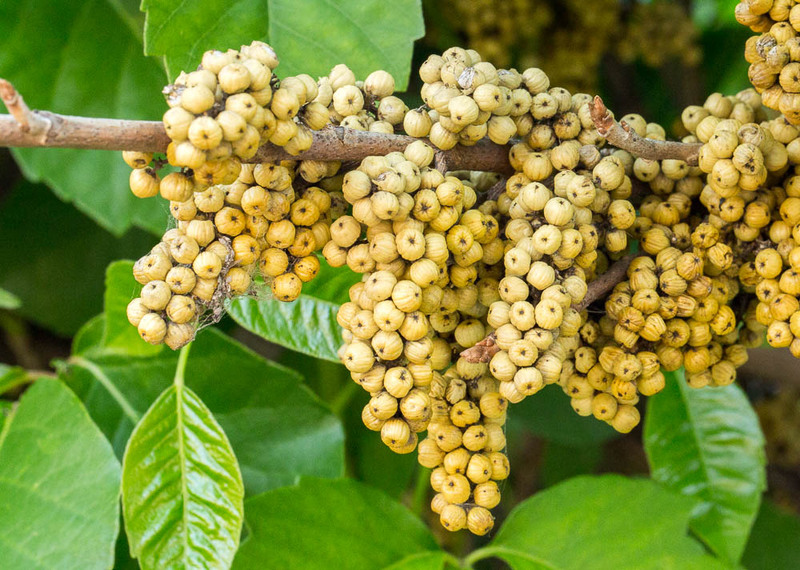 Those berries are very good for birds, and very bad for people. This is western poison ivy mixed with creeping mahonia (Mahonia repens). 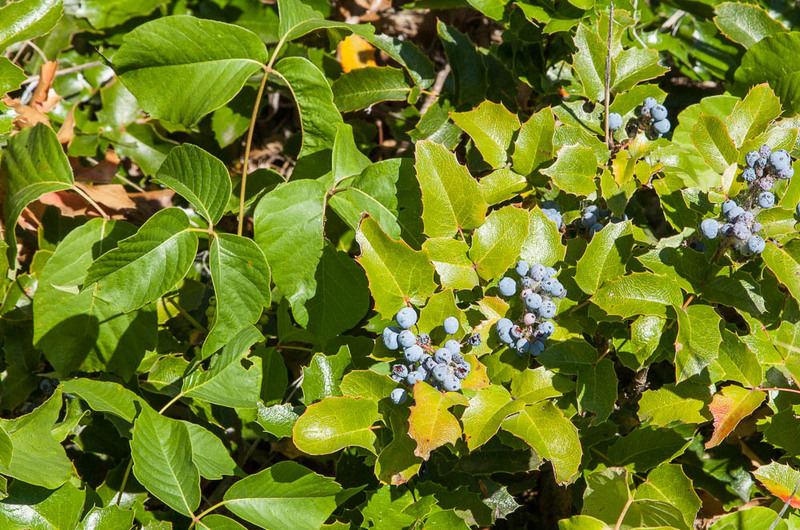 Notice the blue berries and thorny leaves on the creeping mahonia.